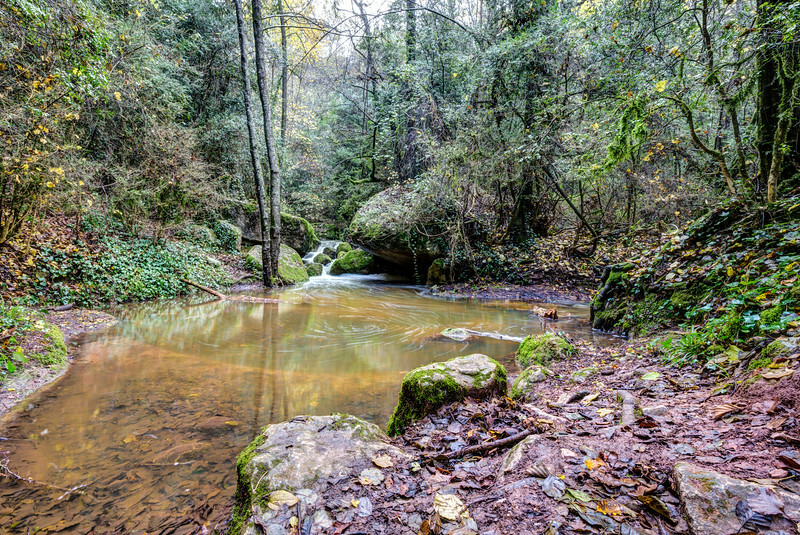 After a few months of dry weather, it has been raining a lot in Catalonia. This is great news for our forests, and it is also a great opportunity to enjoy the best views of our creeks, and waterfalls. A few days ago I got up early to capture a few photos in the Riera de Martinet (Martinet’s Creek). The last time I visited this place it was almost dry and now it is a pleasure to see and hear how the water runs free between the rocks!